1 bedroom with queen bed and 1 bath with tub. Ikea couch in living room becomes a queen bed with a memory foam top for another guest or your children. This second floor condo is located on the creek in heart of Winter Park. Walk to ski bus, dinner and nightlife. 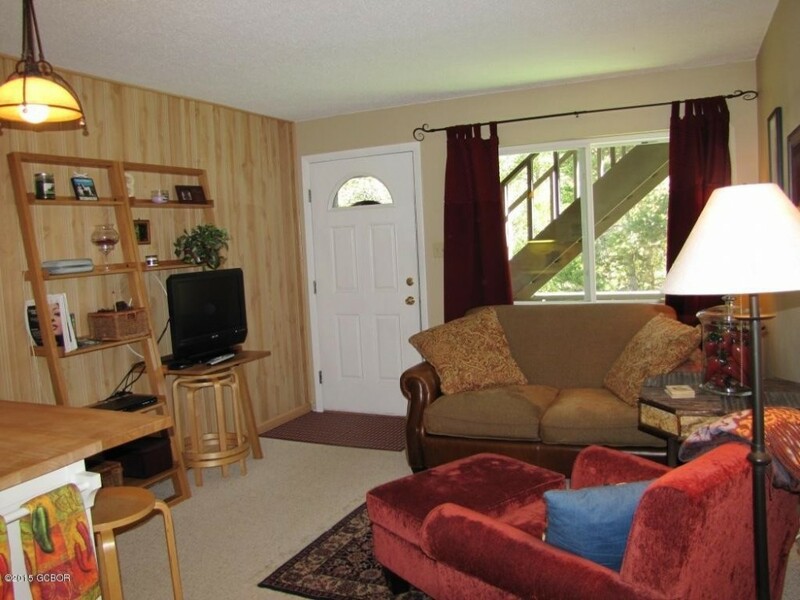 Despite being one block from main street, the condo is very secluded. 5-minute drive to Winter Park and 10 minutes to Mary Jane ski area. Please respect quiet hours from 10 p.m. to 8 a.m.
House Rules: No smoking, Not suitable for pets, No parties or events, Check-in time is 2PM - 8PM. This is a small, closely-knit group of condo owners who respect quiet visitors. Thanks for staying quietly! Please do not park directly in front of the deck stairs.